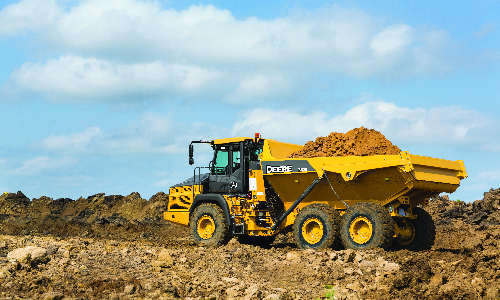 John Deere is an industry-leading manufacturer of construction and forestry machinery. This top-of-the-line equipment has the latest technology built in to help you work smarter and stay competitive. If you are looking for new or used John Deere equipment in Washington, Oregon, California, or Nevada, Papé Machinery Construction & Forestry has the full line of new equipment available from John Deere and an extensive inventory of used equipment, too. Construction and forestry machinery options from John Deere include excavators, loaders, backhoes, harvesters, skidders, and more. As your local John Deere dealer, we look forward to helping you find the right machinery to meet your business needs. Papé Machinery Construction and Forestry has the largest stock of high-quality used construction equipment in the West. 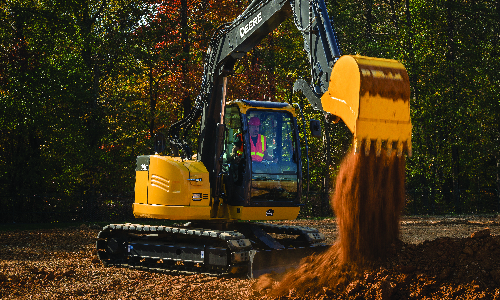 From compact excavators to heavy-duty dozers, you’ll find a wide variety of job-site-ready options from John Deere. We also carry used John Deere attachments, including buckets and blades. View our full inventory of used equipment online or stop into your nearest Papé Machinery Construction and Forestry location to test it out for yourself. As your full-service John Deere dealer, Papé Machinery Construction & Forestry helps you maintain your equipment with preventative maintenance and OEM parts. Whether you need an urgent job site repair or an annual inspection, you can count on the experienced, factory-trained technicians at Papé Machinery. Need a part fast? Our customer portal makes it easy to order John Deere parts online and, with over 15 million parts in stock, 97% of our orders are filled within 24 hours. Papé Machinery Construction & Forestry offers John Deere financing on new and used equipment. With flexible terms and loan options, you can get the machinery and attachments you need at a monthly price you can afford. Our finance specialists can help you determine the best solution for your needs. Complete a simple credit application today and see if you qualify in less than an hour.